# 1 – Do You Want to be a Creative or Traditional Real Estate Investor? If you don’t know the difference, please review the following article: “Creative Real Estate or Traditional Investing“. Deciding on which type of investor you want to be is critical because it will determine which type of real estate investing mentor is right for you. If you plan on being a traditional investor, a local real estate investing mentor is probably your best bet. The best traditional investors are those that are very good at continually finding very inexpensive, very reliable contractors. They have the ability to move on good deals at the drop of a hat (because most traditional deals require instant action or else you lose out to someone else.) They know the local area like the back of their hand, which areas are good, which areas are bad, the direction the city is growing in, etc. Successful traditional investors spot local trends and adjust accordingly. Traditional investing is very localized so the best type of real estate investing mentor will probably be a local one. Oftentimes, a really good “investor-friendly” real estate agent can be a great traditional real estate investing mentor. He/she can introduce you to mortgage brokers, title companies, contractors and so many other team members that will be crucial to your traditional investing success. If your goal is to be a creative real estate investor, you may be surprised to hear that a nationwide real estate investing mentor may be your best bet. Creative investing techniques and formulas tend to work in every area because it is based on the concept of motivated sellers and motivated sellers are not location specific; they are everywhere. People who need to get rid of their house quickly are compelled to do so for reasons that typically have nothing to do with the local area, such as divorce, financial problems, death, mortgage problems, etc. So a very successful creative investor could actually relocate to a totally different area and be just as successful. Certainly there are local laws and characteristics that favor one creative technique over another, but for the most part, successful creative investing is not based on your local knowledge. Since creative investing requires significant creativity, getting outside the local box of thinking and seeing the entire nation and what different investors are doing all across the country, fosters more ideas and more ways to creatively invest. Plus, sometimes creative investing requires very specialized team members and if you are only drawing off of your local area for those people, you are limiting yourself. Some of the best mortgage brokers for no title seasoning loans and title companies for back to back closings we use provide nationwide or regional services. Whereas if I could only draw from local title companies or mortgage brokers, I couldn’t get the deal done. Most importantly though, the number of motivated sellers willing to sell their property creatively is limited based on the size of the market. The cliche that, “there are enough deals to go around for everybody,” is hogwash when it comes to creative investing. The more legitimate creative investing competition there is in a given area, the harder it can be to find motivated sellers. Usually, the best creative investors in a local area avoid sharing their top secrets to avoid competition. Personally, although I mentor investors all across the US, Canada and the Caribbean, I don’t mentor anyone in my hometown because I don’t want to create a direct competitor. What some local “mentors” will do is act like they are going to teach a newbie the ropes, but what they really do is simply teach them just enough to be able to find deals for themselves. Here’s why. Every creative investor is always looking for more motivated seller leads as inexpensively as possible. Certain lead generation techniques require time and energy, such as driving neighborhoods looking for vacant houses or FSBO signs. Since the mentor doesn’t have the time to do it himself, and rather than hire an employee, they get a local newbie to do all that running around for them in exchange for “showing them the ropes.” I did that when I first got started. It was a huge waste of time because that guy ended up not paying me on some of the deals I brought him, stole money from me on a deal we did “together” and stole $150,000 from a friend of mine, The guy turned out to be a total crook. He had no intention of teaching me anything with substance except how to run around and do work for him for free. Well, he did teach me something valuable, what to look for when someone is about to take advantage of me! But although my experience was a bit extreme, local “mentors” are notorious for training people to their birddogs, not successful, independent investors. The fact is motivated sellers are a limited resource and competition is not helpful to existing, successful creative investors. Therefore, you’re best bet if you are looking to be a creative investor is a nationwide real estate investing mentor. They will open up their vault on all their hidden secrets because they don’t have to be concerned about competition and they can draw on more ideas, techniques and team members due to their much larger geographical perspective. # 2 – Is the Real Estate Investing Mentor Passionate About Teaching AND Successful at Investing? Being a successful investor and being a good real estate investing mentor are two very different things. Some people are fantastic performers but lack the drive and patience to teach others. I have a friend who is a very successful investor and agent who refuses to mentor people anymore because she got so frustrated by students not following her instructions. She didn’t have the patience to deal with the fact that no matter what you say, sometimes students have to learn their lessons the hard way. Plus, she wasn’t passionate about teaching. She saw it as a good sideline business to make some extra money in between deal closings. If you want to be a creative investor, you need to also make sure the mentor is successful nationwide, not just locally but wanting to become a national mentor. You want someone with a track record for mentoring students to success on a nationwide basis. A tall tell sign that they are a good local mentor but a wanna bee nationwide mentor is that the deal examples, case studies and success stories they give are all from the same geographic area. On the other hand, you have people who are extremely passionate about teaching but they are not successful investors. That’s where the old saying, “Those who can’t do, teach,” comes from. They are very zealous real estate investing teachers who aren’t successful investors themselves. They are perhaps more dangerous because they teach well, but what they teach is wrong. Unfortunately, the less competent mentors are also usually the least expensive and since many budding real estate entrepreneurs are on a tight budget, sometimes they go with the lowest priced option. This is one thing you don’t want to go cheap on because you can’t learn to be rich from a broke person. If you picked the right person, the cost of the mentor will be a drop in the bucket anyway. So avoid going with the least expensive option and make sure that the real estate investing mentor you choose is far more successful at investing than you are. For those traditional investors looking for a local real estate investing mentor, be aware that you will have a much more limited pool of prospects than the creative investors going for a nationwide mentor. Try to avoid lowering your standards just to get a local one. Be patient and persistent. You may have to go outside your specific area but perhaps you can find someone that is regionally close to you. Or maybe you can reach out to a nationwide mentor and they may have some mentors they know that are closer to you geographically. But keep in mind that you need someone who is passionate about teaching AND is successful at investing. # 3 – What’s the Real Estate Investing Mentor’s Motivation to Help You? This is a HUGE mistake many, many people make when choosing a real estate investing mentor, They do not think through the REAL motivation of why the mentor would help you. The consequences can be significant. You need to have a clear and realistic understanding as to why the mentor wants to help you. Some beginners unrealistically assume they are going to find an extremely successful mentor who, out of the goodness of his/her heart, is going to lead them to the promise land. But mentoring someone to real estate investing success is a long term, ongoing, patient and persistent process. The mentor must have substantial motivation to work with you; and the thought that they want to help you because they like you is downright naive. It doesn’t work that way in the real world. If you are traditional investing and you have an investor friendly real estate agent mentoring you, that agent’s REAL motivation is for you to buy real estate. That’s how they get their commission, when you buy. But sometimes the best decision of all is to not buy the property. If you don’t buy the property though, your agent doesn’t get paid. When in doubt, that agent is going to tell you to buy because that is how they feed themselves. If you are traditional investing and you find a local real estate investing mentor that says he/she will teach you by doing a deal together and all you have to do is bring the money, beware! That’s what got me and my friend in trouble when I first got started. Well, my friend brought money, but I was broke so I was bringing my good credit credit, which is basically the same thing. If a local mentor is truly successful, he/she doesn’t need your money or your credit to sign on a loan. Whether creative or traditional, sometimes a real estate investing mentor may charge you an upfront fee to be your mentor. this arrangement can work very well so long as you pay a fair and reasonable amount upfront and the rest of the mentor’s compensation is tied to your future success. Unfortunately, some mentors charge their entire fee upfront and the problem with that arrangement is that the motivation they have to help you was provided in full at the beginning of the relationship. What motivation do they have down the road to help you when you get stuck? They have already been paid all of their money and given all of their motivation. It would be like paying a painter their entire bill before they took one stroke of the paint brush. Most people would never agree to those terms with a paint contractor. Instead, pay the painter some money upfront for materials and to get the work started and then pay progress checks as work is completed. As that relates to a real estate mentor, pay the mentor some money upfront and then money as deals close. That’s exactly how our Apprentice Program works. The best way to ensure your mentor’s motivation is aligned with yours, is to align your incentives with the mentor. Such as doing a profit sharing arrangement whereby when you make money, the mentor makes money. That way, when the mentor wins, you win and perhaps just as important, if a deal is falling apart, the mentor stands to miss out on those profits just like you. In addition, if you have already paid for real estate coaching services or are trying to make a decision right now on a mentor, consider how you found that person or company. For example, did you find them by researching online, reading articles or a book they wrote or by a referral from a trusted adviser? Or did they find you, as in coming to a local hotel in your area? In most cases, the best people to work with are the ones that you found, as opposed to the people that found you. 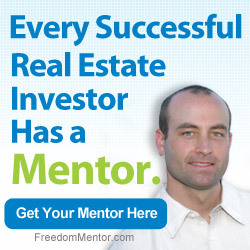 Hopefully now, you can make much more informed decision when choosing a real estate investing mentor. Wow, ‘Aligning of interests’ is such a powerful concept, it’s probably the ONLY way to extract the best out of a student-mentor relationship, this is brilliant, Phil! Thank you so much phil, i am very happy to find you. I am sure than I’m going to be very successful with all the stuff you are teaching me. I will let you know when I close my first deal. Phil,I want to thank you for all of the time and effort you put into your free course, it was amazingly informative and chronologically consistent. I am a Carpenter Remodeler who is very excited about real estate and the prospect of flipping properties and saving by contracting myself out and getting paid twice. I spent the whole of this weekend studying your videos and you are very easy to learn from thanks! and have met no one in the flesh. A little scary. you sure are a good teacher. i am going to check out the other videos to see how i can start wholesaling. Looking for a mentor! I’m new but highly passionate in getting started in real estate and making money. From wholesaling to short sells and foreclosures. Looking to get started in the St.louis area. Apply to my apprentice program and perhaps there may be a fit? And welcome to the wonderful world of real estate investing! My name is Chong. I like what you say about paying a mentor to help guide me. I have been to couple of those events and they got a whole lot money our out of me. I am still in the same pot hole because when they came to mentor/coach me with those couple days. I feel like nothing can stop me but after they left. I am back into my same pot hole feeling lost and confuse. I like what you just say about having a mentor to be with you not just for couple days but for a long time relationship and making money together. I live in Modesto, California and in need of a good mentor just like you said. I am going for a 100% on my real estate investing but I need help. I have been watching a lot of your you tube videos and it has help me a lot and an eye opening to a bigger picture and better understanding. Please consider me to be a part of your team and help guide me by the hand and make money together here. Im soo excited to take on this goal, to become one of the most succesful real estate investers to play the game! I’m a 29 year old guy in Dallas, texas and im motivated and looking for a mentor, how can i find one to get started, I’m Ready. Thanks!! You are welcome to apply to become my next apprentice by clicking on the “Apprentice Program” tab at the top of this page. I truly feel this is the career I was destined to put my all in. I am looking for a mentor that will take me under his wing and provide me the tools to maximize my abilities and show me how to harness my God given talents to not only be successful in REI but also motivate others to follow their dreams.. I will be the KING of SWFL (Southwest Florida)!!!! You can Apply to be my Apprentice. I can’t make any promises because we demand has really increased lately since the real estate market has turned around and we have to very selective on who we let in but give it a shot. Thanks for sharing Marvin. I liked what I heard with your presentation to a university group. I just happened to see a you tube clip on flipping that you submitted. I will apply to your apprentice program. I feel your passion for this business. I thanks you! I am so excited to find this website,i actually feel that i can be a real estate invester but i am also scared its so much things to learn.As a Marine ive learn not to give up on me this is my mission and need all the help i can get. Hy, well there is a lot to go around in my area. but there is also a reason why. You see most of what i see on the market is so heavily over priced that they simply do not sell. These prospects are on the market for 8-16 months and even then the seller thinks he/ she is going to get top dollar for them. I don’t understand where it’s coming from. It’s like you look at two different properties they charge exactly the same amount per square, even though they are totally different. It’s like paying for a Mercedes and getting an crappy bicycle. As a result i’m starting a new realtor business making my job to find homes for people with prices that they actually can afford rather than seeing them getting a huge loan and year down the road they have a loan on the property that is twice what the property is worth. I wish you the best of luck in that venture. Little tip…the BIGGEST issue 98% of real estate agents struggle with is marketing. They never figure out how to systematically bring in more business than they can service. Instead, they deal with the scraps and whatever comes their way. The problem with referrals is that you can’t control the type of customer you work with. If you dial in marketing, the rest will work itself out. hello Phil, I read your book and I have been listenening to your youtube videos, I’m so eager to get started and i beleive in all the information you have provided so with that being said I think you for the free infomation you have provided. I am really interested in REI and i highly appreciate your tips. I wouldn’t mind more of this. I have read the information on how choose a real estate mentor and watched the video. Thanks for this great information. I now know I am interested in a creative mentor. I want to be able profit from real estate around the country no matter where I live. I signed up for free rich dad poor dad mentorship and I was told that they have 3 levels of their coaching program. $ 10,000 —— 6 mos. to I yr.. one on one basis. $ 0 dollar — access to unlimited free on-line use of videos and sites to start with until u have the $$$$$. I felt that sky fall on me for I don’t have that $$$$$$ to start with but I am desperate to learn, apply and experience the real deal in a real world. Of course, who doesn’t like to have a personal coach? Phil, I wish there is a Mentor out there who still possess the qualities you talked about. You are 100% correct Phil. I recently met a local investor who I asked to show me the ropes in real estate. He was inviting at first but has stepped back. He will respond to questions I text him but is vague with answers. Its been a blessing in disguise because I began searching for answers on my own. I found your videos on youtube and I went to your website and downloaded your book. I am so thankful for all that you have done and hope others can be blessed with this knowledge. I look forward to doing business with you in your apprentice program! Hello Phil, I was just wondering, what is your thoughts on starting a relationship with a mentor as a bird dog for them. So long as you don’t waste a bunch of their time on tons of lousy deals, it’s usually goes OK.
Phil, you have wisdom beyond your years! I was contacted by “The Flipping Formula” folks, David Seymour and Peter Souhleris. I got the card in the mail for the one day “teaser” seminar where they find out who they feel they can bilk out of money- Yes, they got me… I signed up for the 3 day seminar which was to promote their more expensive coaching packages, starting at $21,297, with the “Diamond Enrollment” at $41,297. This time they DIDN’T get me! The two seminars were mostly a lot of “fluff” with a few points thrown in to peak everyone’s interest. What turned me off was the insincerity. They didn’t seem genuinely interested in me as a person or student, I felt like I was just a paycheck to them. The following evening I began searching for information on real estate contracts and found your Youtube videos! I was caught off guard by all of the information that you took the time to present to the public for free! I felt you genuinely had the interests of the common man at heart. I’ve jumped on-board your program and I look forward to learning as well as doing, being productive, as opposed to just being busy. I plan on catching the coaching call this afternoon too! Thank you very much, Phil!! Keep it up! You are making a huge impact on the lives of people all over the country and possibly the world. Thank you so much for all of these videos you have taken the time to create. Though I’ve never met you personally, I believe you are the real deal, very sincere and very passionate about what you do. I’ve been through your entire course on udemy.com, read/listened to your book multiple times, and what an amazing resource for new investors, like myself. I am looking forward to using the multitude of principals you are teaching, right here in my own backyard. I feel now is the time to stop working for money (not referring to my day job…yet), and start making my money work harder for me. I feel empowered through your teaching to make the jump from merely earned income, to passive and portfolio income as well. Owning true assets vs. liabilities (which is all I have at the moment). Once again, thank you for all the work you have put into these videos and training. Keep this momentum! Your passion shows and I hope that soon enough, I will be sharing my own REI successes as a result of all you are trying to accomplish, and therefore begin to secure my own financial freedom in the process. Thank you Phil for another great lesson. thanks for clearing finding a good mentor .i have now a very good idea regarding the intention that comes with the initiative to impart knowledge to another. not knowing would really waste time money and your effort to succeed. Hey Phil, I have been watching all of your videos, reading your and other real estate books, and like you advised, I have been dreaming and writing down what I want real estate to do for me. Thank you. Have an awesome day Phil ! Thanks for the info, I just read your book and I am now working on getting some working money together. I am studying hard for this and I know you understand. I need more education for me , not to start. I can make you and I a lot of deals, I have been in the selling business for some time. I am retired and looking forward to meeting you soon. So please look for me. I have a “subject to” deal in the works where I plan to rent the house. The Owner is asking me what would happen if I eventually find a buyer for the house? I’m not sure how this would make a profit for myself when the owner wants the profits from the sale? Why would you do all the work and let the seller make all the money? I Love your videos, Phil. I have two questions. One you mentioned in this video. What exactly does an underwriter do? My daughter is a book keeper for a local Real Estate Agency. She said said to stay away from foreclosures because they take too long to close. How long does it to take to close. a preforclousure toke to close? (1) An underwriter approves or disapproves a loan. (2) In other trainings, I certainly recommend staying away from foreclosures, but not for the reason you cited. Every deal is different as to how long it takes to close. Have a question, I am starting to learn and am very interest in investing in Real Estate. My first motivation is because my husband is military and we move a lot. For this reason we have decided not to buy a house for my family yet until he retires but would like to invest. He is in his 30th now and I will in two more years, I just see it as a way for us to retire in the future with some finacial freedom. My question is, would it affect my real estate carreer if I move a lot? What can you advice me in this matter? Can I have control of my properties even though I live far away? It will GREATLY effect your real estate endeavors. Perhaps consider starting an online business instead. You gain momentum and foundations for future success by staying planted in one place with real estate. I wish I would have read this 10 years ago. The Local Mentor part was spot on! You just described my life from 2005 to 2011. I met a local “mentor” (predator) who took me under her wings. I was a newbie with great credit and some money. And the rest as they say is history. She was the property manager because she knew real estate way better than I did, I trusted her, especially when I saw she was using my money and credit to purchase houses. For a time money was coming in that lasted for about two years, then there were phone calls, court documents and investors visiting the properties. Shame to say I used my daughters college money and everything else to stay above water… Sad to say I eventuality we was homeless, loss my car everything. For two years I was in a maze not knowing what to do and how to start to do it again. Can’t get nothing because I had too foreclose on four properties, short sale 6. Boy I feel like a fool!!! Sometimes when my kids look at me I feel they see a complete IDIOT!!! ….. Speak about light at the end of the tunnel, my friend is allowing me to stay in her fathers house for two months, and it’s because of that I saw you Phil on the internet!! I subscribe because its FREE!! TY I am learning your teachings. My God Phil I just completed a workshop it was my first time. I thought I was excited about real estate investing. But then I read your book, it turned my world around. Your book is awesome and now I am so excited and can’t wait to start this journey would you be my mentor. You have a spirit of excellence and lots of passion for what you and it shows. I also watched many of your videos already. All I am missing is a mentor like you. God bless you for your great endeavor. My God Phil I just completed a workshop it was my first time. I thought I was excited about real estate investing. But then I read your book, it turned my world around. Your book is awesome and now I am so excited and can’t wait to start this journey would you be my mentor. You have a spirit of excellence and lots of passion for what you and it show. All i can say is Phil is the best of the best, Thank You Phil for the truth and wisdom you share with all of us. now, this really blew my mind. and that they may use me as ‘free labor’? me to pay them upfront before they even showed me anything..
which for me was suspect. I really like the thought of profit sharing, and the Mentor be as good at Teaching and a Successful Investor. It really makes sense for the Mentor to not live in my area. I am a new investor and trying to get my feet wet. My question is regarding an FHA LOAN. If I am buying a property for flipping using an fha loan is there a time period that I am required to hold it before selling it? Ask your mortgage broker the underwriting guidelines of an FHA loan and the rules associated with when you can resell a property you purchased with a FHA loan. I am reading your interesting book. I live in Oakville, Ontario. One of the hottest real state markets. I wonder if you have mentors available in Canada. Thank you. This training describes the differences between US and Canadian Investing. We do mentor investors in Canada too. I sold my homestead which was also my business site during the housing market crash. 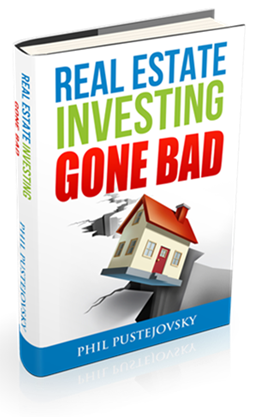 I wanted to venture into real estate investing almost immediately. Then lost part of RE monies to Wallstreet bankruptcy. I made several other attempts to venture into sole proprietor business. Unfortunately, I was scammed by a marketing coach off the internet. With help from the Federal Trade Commission, I regained my loss. I did not recoup losses from another internet business scam- Money Now Funding. For the last seven years, I’ve attempted joining real estate investment without success. Talking to contractors, REAs, banks, etc. At least, not until I attended a RE workshop and listened to Phill’s REI videos. He gained my trust and I joined his team. I trust I will become successful. I look forward to give God the glory and, secondly, to Phill. Thank You Phill. I want to make you proud. Phil, I have gotten my feet wet by doing wholesaling a property to a rehabber and I live in a very good area for flipping property, I live in Houston, TX. There is a lot more that I need to learn about flipping houses because I left money on the table. I have been taken by some of the promises of others also and I know that I need a mentor that delivers a good quality education and your book has a lot of good advise in it, I think that we could make a lot of good money together in the Texas area. please I need a good mentor. Apply for my apprentice program (although it will depend on which part of Houston because we have very few openings left in that part of Texas). due to the variations in in sellers responses and afraid of the mistakes I might make. NEED someone to show and look over my shoulder to help me. You said it all . I ‘ m very new to the Real Estate world and I sign up for your apprentice Program two weeks ago. The Training and the teaching is awesome. I know for sure that I’m in good hands . I’m looking forward to make a 100% life career with you . I grab your hand, let’s roll. Thank you very much for being a good mentor. Dear Phil, I started my investor training in March. I have gladly incurred more than $25,000 debt for training materials and frankly resented calls offering mentoring for a few thousand more. I agree that in comparison to one year of college tuition the costs are okay but after being discouraged by my own performance /procrastination, I owe it to myself to continue investing in myself. Just yesterday I decided to find a mentor no matter how much more debt I incurred because I need to pay the credit card debt I’ve already incurred. Your article was divinely “on time” for me. THANK YOU SO MUCH!!! NOW, how can I qualify to be a part of the Freedom Mentor Apprentice Program? I’m sure enjoying your videos!!! You are teaching me so much about Real Estate. What you teach, I can follow along and if I’m not understanding something I can go back and listen again. You are a great Motivational Teacher!!! I hear you. Thank You so much. I have learned so much FREE information It sometimes makes my “head spin”. But it’s motivating me more to go out there and talk to people. 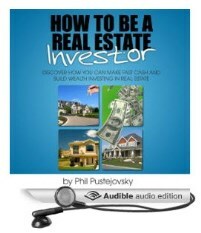 Hi Phil, thank you for your wisdom and expertise in the world of real estate investing. I do appreciate that you have a mentoring program and team members willing to help new and seasoned investors. It is interesting to hear practical knoweldge. Thank you so much for these videos and information you are giving us. Its very much important and it helps us to learn step by step on how to do these kinds of investments. Its very much important to know where you as an individual getting yourself into. Some deals may sound great but when you have knowledge then you will know exactly what to do. Please help me make a passion realized. We need a Creative real Estate investing MENTOR!! HI Phil I am doing your free courses and I have looked at some of your videos. Truthfully I have been so leery of businesses that people have promised to mentor or help one to be successful. But, after seeing you a and looked at some of the courses I feel comfortable in making a decision to be a Real Estate Investor. I enjoyed this information because I didn’t have any idea of how to proceed. Phil really opened my eyes to some aspects that are extremely important to consider when choosing a mentor AND good team members. Hello Phil, I would love to be a creative investor but i need you help. I am totally into investing. I have read your first book and passed the course. I like the concept of creative investing and want to work with a mentor of yours. Have you thought of making application to our Apprentice program? Consider using our Free Course to learn more! First I would like to say your a exceptional person. The information you provide is so thorough. You are “the” mentor of mentors. My question is I am looking at purchasing a 34 unit building numbers; the condition of building is good. My concern is its 12 hours away from me and I have never dealt with property management before. Phil would you consider this and offer your thoughts. Experience taught me owning close to home is a principal I do not break. You might find this blog of interest.